Now I know what you must have been thinking when you clicked through. This can't be a card that I made. 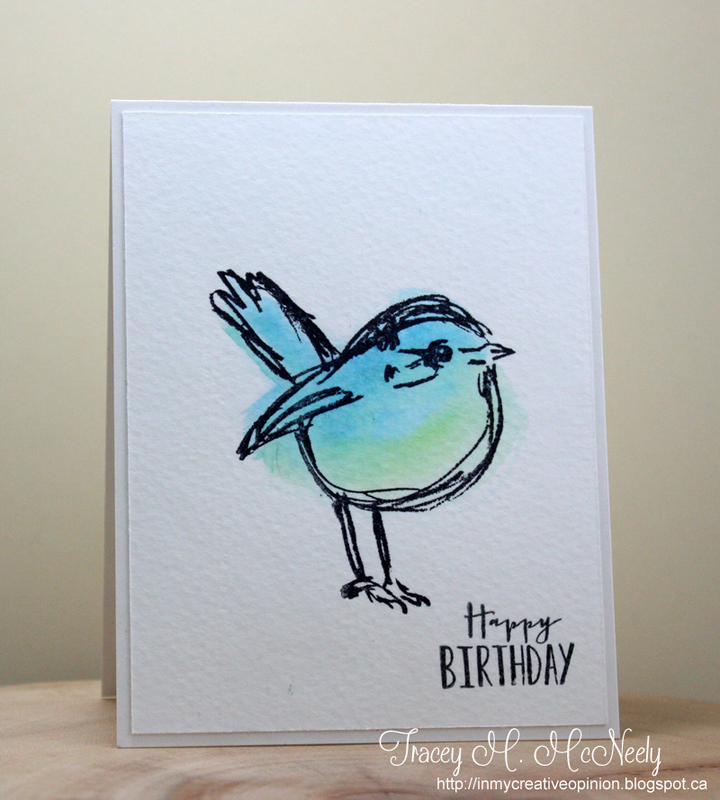 It is a little different than my usual style, but I have fallen in love with this Dina Wakely Scribbly Bird! I didn't do anything original here, I am sure that I have seen this little guy done in similar colours somewhere. I stamped him using Ranger Archival Jet Black Ink on watercolour paper, sponged some Distress Ink on him and then washed over the ink with a wet paintbrush. Probably the fasted card I have ever made, but I honestly didn't think it was going to turn out. I seem to be trying a lot of new things lately, I guess to keep it fresh. It is the August long weekend here in Canada, it is typically called the Civic Holiday weekend that falls the first Monday in August. We are usually at the cottage this weekend, my brother hosts a family reunion at his cottage across the lake, but we are going to be a day late this year. Brooklyn and I are not going up until Sunday. She is going into Toronto tonight to see One Direction! Her second time, she went last summer too! Fingers crossed for her that Niall will spot her and realize that she will be the love of his life! This is beautiful soft and lovely. Have a fabulous time with Brooklyn and a great time with your family. Love your soft watercoloring. Fabulous Tracey. Sorry to say that my niece was at the One Direction meet and greet before the concert last night, so Brooklyn is probably out of luck. Although my niece was really hoping for Harry (is that his name - I have no idea who these guys are - Kate's still a little young for all this).LOL! Hope she enjoyed it and that you'll be making wedding invitations soon! Love how your card turned out. You go girl for trying something different! It looks great. Such a sweet image, and the colors are perfect, Tracey! Have fun at the lake when you do get there - sounds wonderful! oh i have got to get this stamp set.. your card is gorgeous.. love how you added the color..
Oh Tracey! Love those scribbly birds.. you've done a great job of water-coloring! p.s. I'm looking for the hummingbird? Ha! I my goodness, this is so cute, it sent me scurrying to find this stamp set! Eeeek, you're such an enabler! Beautiful! I am glad that you are playing more with watercolor-like designs...aren't they addictive and fun? I love your sweet birdie...and my David was coming home home TO late last night and then he hit the traffic...it turned out One Direction was just over! It took David 5 hours to get home! I'd blame it on One Direction and those crazy teenage girls (LOL)! Yes, it is a bit different, but oh, so lovely. Really simple and effective. You chose the perfect coordinating sentiment and perfectly textured paper, too. I too have been eyeing this cute bird set Tracey! I'm taking a class with Dina at the end of August where she is using her women's faces stamps - but I may just have to cave and get this one too!! Love how you simply watercolored her - a wonderful card! Have a great weekend and I'm sure your daughter will enjoy the concert! So sweet--a bit different but still your wonderful CAS style! Love those little birds! 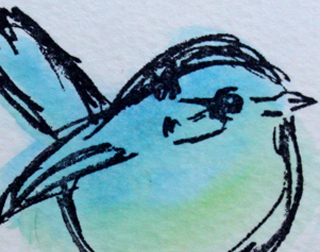 Yes, the scribbly bird is not one of your 'usual' images, but the magic of your creativity most certainly is. Cas, pretty, eye-catching: your signature style is abundantly visible. So...did your daughter meet 'the man' today, and dazzle him with her sweetness? Toooo cute! Oh WOW! Gotta say I had to pin this beautiful bird, it's incredible! And why do we love those British boys..
only in my day they were from Sheffield and went by the name of Def Leppard. Hope she had a wonderful time and enjoy your weekend! LOL! Funny about Brooklyn and Niall. ;) This card is absolutely gorgeous! I need those bird stamps! So, so sweet Tracey! I love this bird and now need to buy one just like it. 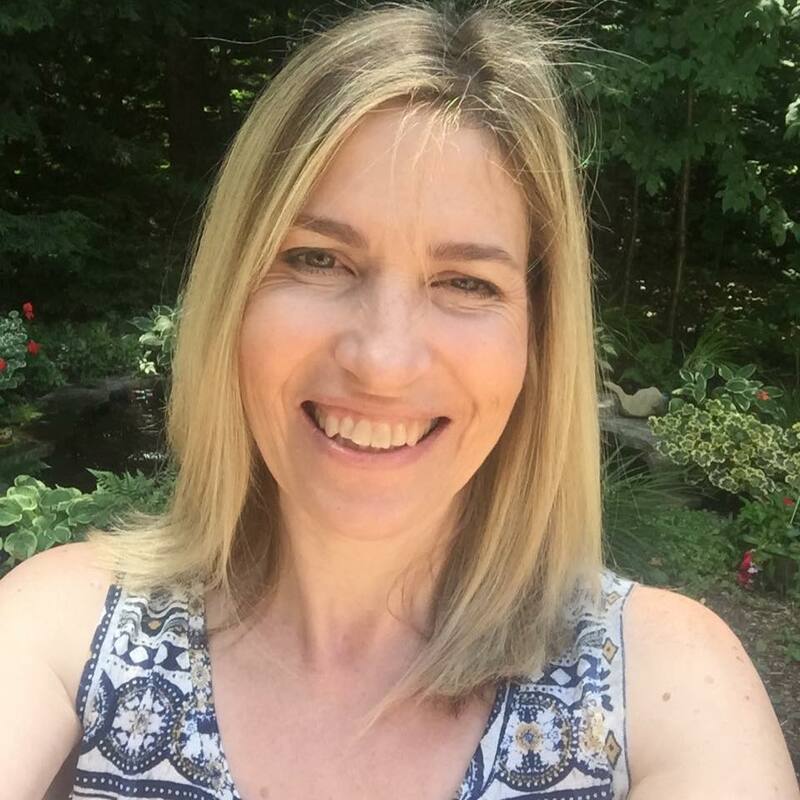 You are so creative and I love that you are doing something new and you totally rocked it too! Oh, I love this little bird -- he's so sweet! LOL! Hope that works out for your daughter ;). And I just love your sweet, little card! I can totally see why you love that bird so much, and you've colored him so perfectly. Sigh. I really LOVE this bird, and you've colored him beautifully, Tracey! As always, I love your CAS design, too! I think it's great that you're trying new things...it's fun! Now this is my kind of coloring! I totally adore this card, Tracey--can't take my eyes off it! Sometimes different is awesome and that is just what this is. I LOVE it! I might just need that little sketchy bird now.